This new version provides the same richness and personalization on your phone as Google News provides on desktop. Our new homepage displays more stories, sources, and images while keeping a familiar look and feel. Also, you can now reach your favorite sections, discover new ones, find articles and play videos in fewer clicks. 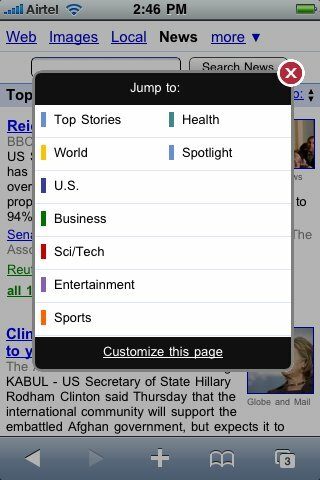 If you are an existing Google News reader on desktop, you will find that all of your personalizations are honored in this mobile version too. 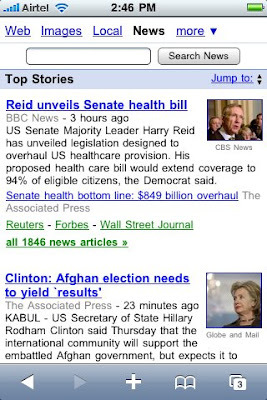 Google News for mobile is now available in 29 languages and 70 editions. So pick up your mobile phone and point your browser to http://news.google.com to catch up on news anytime and anywhere. Feel free to check out more information or leave feedback in our Help Center.